Only 4 1.5T 5D SPORT MANUAL models left in stock! New vehicle pricing includes Honda’s destination/freight charge of $895 for Fit, Insight, Civic, Accord, Clarity or $995 for HR-V, CR-V, Pilot, Odyssey and Ridgeline. State sales tax, title, tags, any installed accessories and dealer processing fee is not included in vehicle prices shown and must be paid by the purchaser. While great effort is made to ensure the accuracy of the information on this site, errors do occur so please verify information with a customer service rep. This is easily done by calling us at 877-438-0910 or by visiting us at the dealership. **With approved credit. Terms may vary. Monthly payments are only estimates derived from the vehicle price with a 60 month term, 4.9% interest and 20% downpayment. Welcome to our Honda dealership in Hagerstown! We are thrilled to be a part of your upcoming vehicle purchase, and our sales team is eager to help you pick out a new car that you will enjoy driving regularly for several years or longer. When you choose to shop for your next vehicle with us, you can benefit from access to our large inventory of vehicles as well as Honda’s impressive lineup. We have all current models in stock and ready for you to test drive. You can find a wide range of trims, color options and special features or packages in our inventory as well. Some Hagerstown drivers have firmly decided that taking home a new Honda is in their future, but others are not certain that a new car purchase is the most strategic move to make. Drivers can enjoy unique benefits from a new car purchase that are not available through a used car purchase. Specifically, our new Honda models have the latest styles and the most innovative features. Furthermore, they are under a full warranty from the manufacturer, so you can enjoy peace-of-mind when making your purchase. Many of our buyers also find comfort in knowing that their new Honda is free of wear and tear that used cars may have. You will control the vehicle’s maintenance and care from its first day on the road. With our incredible inventory, you can enjoy these and other benefits in a vehicle that perfectly meets all of your needs. 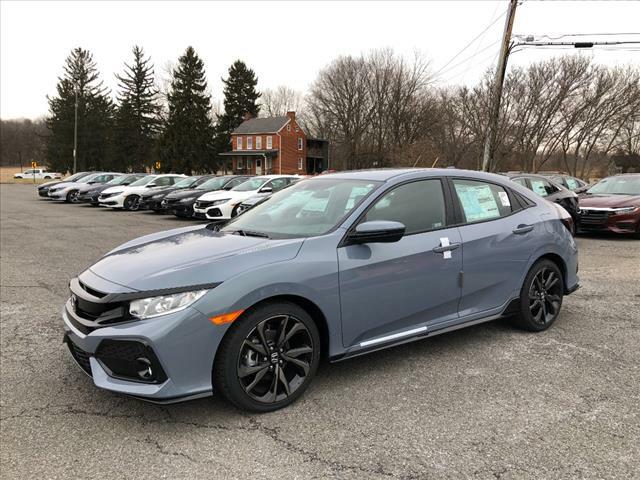 You can also appreciate the value of a quality Honda vehicle and potentially take advantage of specials that we offer on our new inventory from time to time. One of the more significant reasons why many Hagerstown drivers prefer a new vehicle over a pre-owned vehicle is quality. 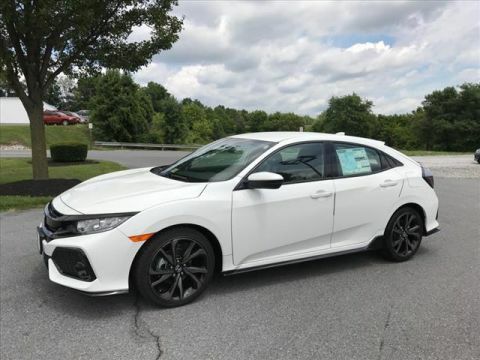 Our Honda vehicles are designed and engineered to provide you with a safe, reliable experience for many years to come, and they carry on the impressive tradition of excellence that the automaker established decades ago. Because new Honda vehicles are sold with a warranty, manufacturer defects may be addressed without cost to you. However, we know that you understandably do not want to deal with the stress or hassle of taking your brand-new Honda into the service center to address a manufacturing or production defect. Because these defects are a possibility in even the most well-designed manufacturing processes, we take the important step of inspecting all new vehicles when the arrive at our dealership. Our inspection on new vehicles enables us to ensure that you are buying a quality vehicle regardless of the model and trim that you pick out. 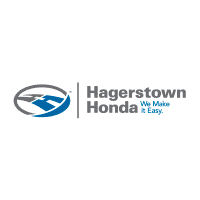 Now that you have decided to buy a new Honda from our reputable Hagerstown dealership, spend time getting to know more about our inventory. You can explore the inventory online, but a better way to get to know more about the quality and innovation in our vehicles is to slide behind the wheel for a test drive. 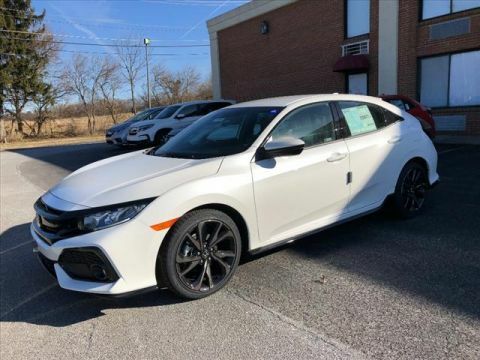 Our Honda sales team is ready to help you explore our inventory in detail and will happily answer all of your questions so that you can make an informed decision about your purchase. Request assistance from our sales team today, or drop by at your leisure.